Come on Over. Time to Launch New Book! We just launched the new website! Come on over and see. Find out more about the new book. Bonus material here for the book, also. Tons of photographs and artifacts, and my new photo blog. It’s launch time! E-book is out, Print to follow Aug. 1. Signed copies available. Like us at Facebook AuthorMatthewRozell if you are so inclined, for more updates. Thanks for sharing this post! 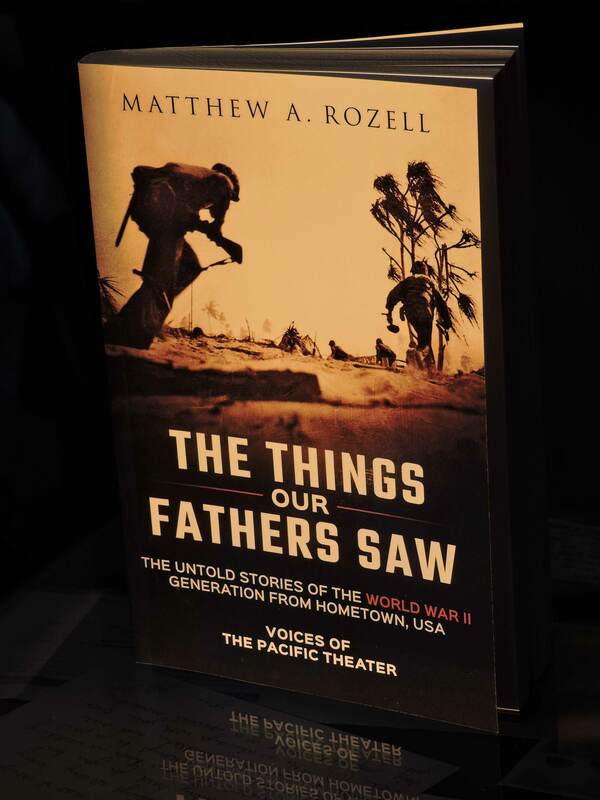 Author Matthew Rozell, on writing your first book. 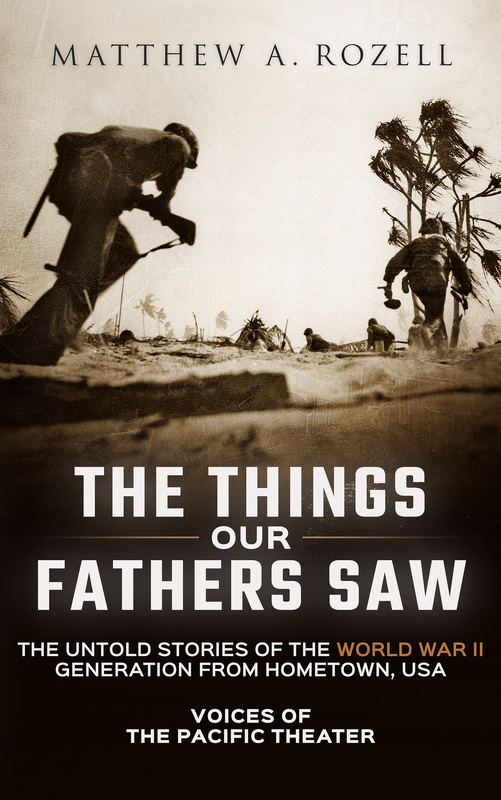 We are about a week out from the launch of my first book, The Things Our Fathers Saw. It clocks in at 286 print pages, and none of it is filler. Over 30 veteran stories are featured. The angle is new and unlike any other WW2 title out there. I am pretty excited. You get some butterflies, too; you are throwing yourself out to the world and you are going to be judged every time someone picks it up. So, why do it? I’d like to tell you what the experience of writing a first book has meant to me. First off, I have been planning to write this book for well over a decade. Why? Besides the fact that it has been a major portion of my life’s work, I’ll offer up the other cliché that it is ‘a story that needs to be told’. Though I didn’t wake up one day and decide to write a book. The stories have bouncing around in my head for years. I’ve shared them over and over again in my classes. 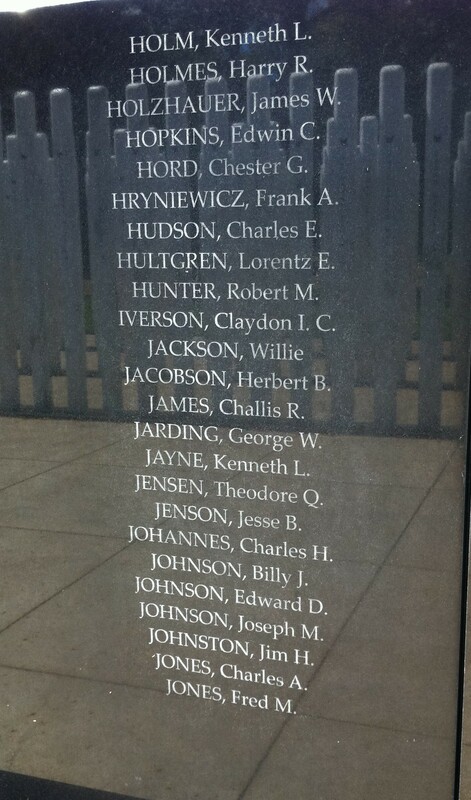 The men and women who told them to me and to our young people are gone, or sadly won’t be with us forever. And I’m not taking the stories with me when it’s my turn to go. This is my legacy, this is their legacy, and more importantly, if you are an American, it is your legacy too. And I don’t care how much you know about World War II, or the Pacific War. You WILL learn something new in this book. Not because I am a genius or an expert, but because I thought that I was pretty well-versed on this history, but I learned A LOT myself in the research and writing of it. And if you are a bit hazy on the subject, or maybe were a wee bit disinterested in it when in school (if you were taught it in the first place), you are about to be blown away-by the writing, I hope, but especially the history. Here is why I did NOT write the book. It was not about the money, and any author who writes for money, well, that is a book you probably do not want to read. I did not set forth to cash in, or write for “personal gain”. I think my brother said it best, simply, when he told me it is just something that you have to do. That said, the book did not write itself. It has been in the works on a daily basis for nearly a year now. I’ve gotten up at 1:00 in the morning and worked to 4 or 5 AM, slipping back into the sack for a power nap before charging off again to school. Somedays, it killed me. The past month, since school got out, I have been glued to this chair. The manuscript that I have been working on has been updated and revised 41 times since final exams wrapped up. I’ve gone back and forth with my beta editors and my mapmaker, Susan Winchell-Sweeney, on at least a weekly basis since April. I spent my school vacations studying, researching, editing and transposing a never-before-published prisoner of war diary, and cross-referencing and tracking down confirmations for the stories that appear in my book. And I have found out that some super best-selling authors on similar topics should have done a little bit more of this type of homework. So what you are going to get, is my best. Some people looked at me curiously when I said I was going to publish independently-mostly people who are caught up in traditional publishing. ‘Self-publishing’ gets a bad rap, gets ‘poo-pooed’-and there is a LOT of dreck and drivel out there. But for me, and for my brothers who are also writers, we just don’t want to deal with the gatekeepers at this time (my brother lost the rights to his first book, watched it go out of print, and had to buy the rights back when the opportunity arose). This allows us the independence to produce the work that we have envisioned in our heads with total control. That is not to say that you don’t seek help in the form of editing, the title, the book layout and design (I even had a contest of sorts on Facebook to refine and select the final cover design, with feedback from hundreds). But I’m told that the first thing a traditional publisher is going to ask today is, ‘how will YOU (the author) market this book?’ What is your following, and where is your brand? Voilà. Woodchuck Hollow Press came into the world. Final edits coming to you from the Woodchuck Hollow Studios. Marketing? That is a whole other venture, the business side, I suppose. Personal gain did not figure into the motivation for doing this, but obviously I have incurred expense (that cover cost us a small fortune, but worth it, thanks to Damon Freeman at Damonza.com), and in investing so much of my time, I chose to forgo other opportunities to supplement the family income. I don’t know how to explain it, it is just something that I had to do (though that walk-in closet that I started for my wife last summer still is not done-but we are still married!). If a major publisher or bookseller shows interest, we can talk. But we are not going to lose sleep worrying over the numbers. The woodchucks will handle it. 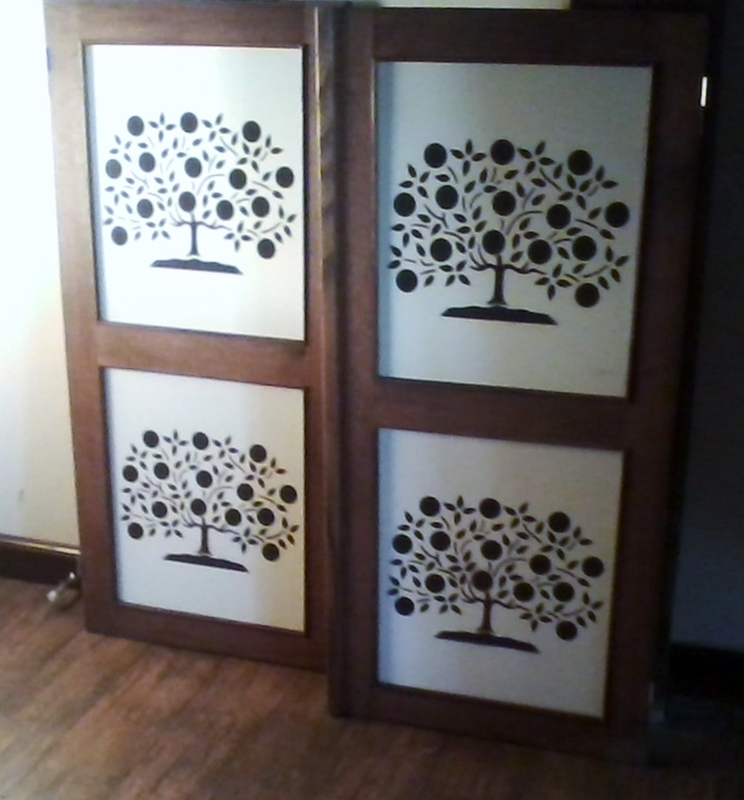 Built-from-scratch cabinet doors for inside walk-in closet. ‘By scratch’ means I cut the trees for it. Kinda like building a book. On to the next set. Stay tuned for more details. It will be available on Amazon in print and ebook format, and signed copies will be available via my website (http://matthewrozell.com/) or at local events I may be invited to do. Thanks for following this blog, and you can get more frequent updates if you are on Facebook by following/liking the AuthorMatthewRozell page. Any others out there who want to share the experience of writing a book? Comments on my comments? Now if you will excuse me, I have to go out and deal with that pesky woodpecker who keeps hammering away at my house. Have a great day! The Things our Fathers Saw. Here is a brief on the book that is coming out. 27th Infantry Division. Saipan, July, 1944. ‘I hope you’ll never have to tell a story like this, when you get to be 87. At the height of World War II, LOOK Magazine profiled a small upstate New York community for a series of articles portraying it as the wholesome, patriotic model of life on the home front. 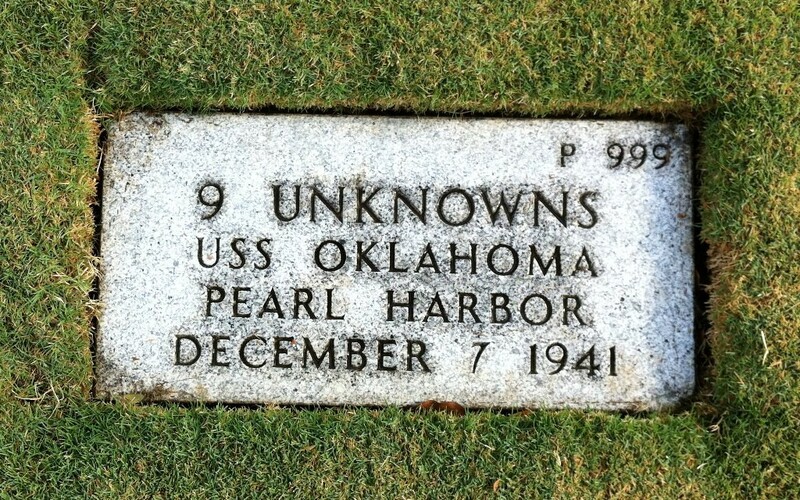 Seventy years later, a high school history teacher and his students track down over two dozen veterans residing around ‘Hometown, USA’ who fought the war in the Pacific, from Pearl Harbor to the surrender at Tokyo Bay. 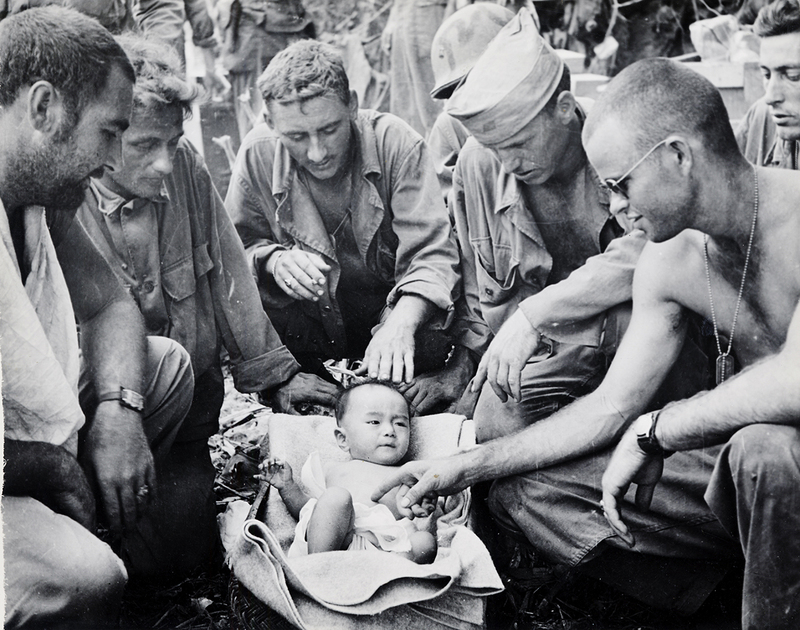 They rescue and resurrect firsthand accounts of combat and brotherhood, of captivity and redemption, and the aftermath of a war that left no American community unscathed. Here are the stories that the magazine could not tell, from a vanishing generation speaking to America today. Matthew Rozell’s teaching career is now spanning four decades. He has been recognized as an OAH Tachau History Teacher of the Year and as a recipient of the NSDAR National Founders’ Medal for History Education. Rozell is a United States Holocaust Memorial Museum Teacher Fellow, has had his lessons filmed for NBC Learn and the New York State United Teachers, and has even been selected as an ABC World News ‘Person of the Week’. 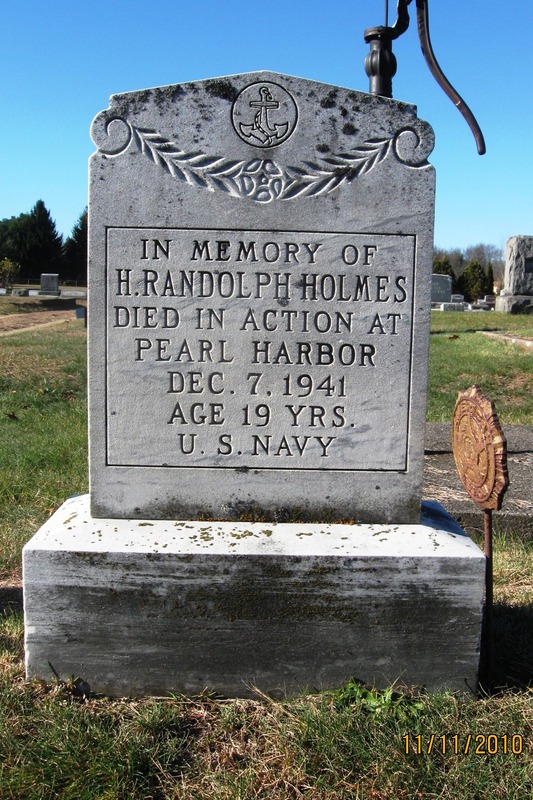 He is also a recipient of several state and local awards for history education. The first author appearance is scheduled in Hudson Falls, NY, one of the book’s settings, for August 8th , 1-4pm, at the Village Booksmith. In 1939, the global population of Jewish people worldwide peaked at around 16.6 million. That population was soon decimated by the Holocaust, which saw Nazi Germany and its collaborators kill approximately 6 million Jews. In just a few horrifying years, the global population of Jews had fallen by more than a third. This week, a new report by the Jerusalem-based think tank Jewish People Policy Institute (JPPI) made a startling announcement: The world’s Jewish population was finally approaching 16.6 million again. The announcement sparked headlines around the world, with many observers shocked that it could have taken 70 years for the global Jewish population to return to its pre-Holocaust peak. The problem is, it wasn’t entirely accurate. It then, however, adds on to this a number of other people, including those with only one Jewish parent or those who identify as partially Jewish due to their family history. Some 348,000 Israeli citizens who came to Israel under the Law of Return but are not recorded as Jews are also included in the higher figure. Traditionally, Judaism has a comparatively strict definition of who is Jewish, with halakha (Jewish religious law) requiring either that a person’s mother was Jewish or that they go through a formal conversion process. Not all Jews agree with these definitions, however. The Law of Return, an Israeli legislation that allows Jews to immigrate to Israel, was amended in 1970 to allow “child and a grandchild of a Jew, the spouse of a Jew, the spouse of a child of a Jew and the spouse of a grandchild of a Jew” to enter the country, leading hundreds of thousands of non-Jews to move to Israel. In a phone call earlier this week, JPPI president Avinoam Bar-Yosef was keen to emphasize that the higher figure included these people, who others might not consider fully Jewish, in order to help with policy discussions (the JPPI report was presented to the Israeli Cabinet on Sunday). The JPPI report argues that there were “changing patterns of Jewish identification” in the past few years, hence the use of the larger number. Indeed, a 2013 Pew study on the nature of Jewish Americans found that more and more people could be considered “partially Jewish,” in part due to the shifting attitudes to intermarriage and religion. DellaPergola’s own estimates of the world’s Jewish population have made a point of not including these people, noting that if “we add persons who state they are partly Jewish and non-Jews who have Jewish parents, an extended global aggregate population estimate of 17,236,850 is obtained.” DellaPergola disagrees with using these broader definitions, however: “If the United States had 6.7 million holders of a doctorate, and 1 million of these hold a doctorate partly, how many Ph.D.s are there in America?” he asked in the Forward in 2013. So when will the core Jewish population actually reach its pre-Holocaust heights? Recent estimates by Pew found that the world’s Jewish population would rise by 15 percent in the next two and a half decades, compared to 35 percent for the overall global population, to reach 16.1 million in 2050. DellaPergola’s research has suggested that, had the Holocaust not taken place, the global Jewish population would have been at least 26 million and possibly as much as 32 million today.